Sutter Health and Ada Health partner for personalized care, Innovaccer debuts a data activation platform, and QuartzClinical launches data warehousing and clinical registry tools. Sutter Health, Ada Health, Innovaccer and QuartzClinical, among others, are introducing at HIMSS19 new technologies or offerings infused with artificial intelligence. Sutter Health, a prominent not-for-profit health system, is teaming with Ada Health, an AI-based personalized care technology vendor, to offer personalized, on-demand health guidance to help patients make informed decisions about next steps for care. As part of the collaboration, Ada’s AI-powered symptom assessment and care navigation platform will be integrated into Sutter Health’s website and My Health Online patient portal, giving more than 3 million current Sutter patients, as well as new website visitors, a personalized care experience. Sutter patients will be able to complete an Ada health assessment directly from the Sutter Health site by answering a series of personalized questions regarding medical history and current symptoms. Ada’s platform will then present users with an assessment of what the proprietary technology identifies as the most likely symptom causes and appropriate care options, from self-care to attending a walk-in clinic to emergency care. One of the key benefits of Ada’s technology is that it supports patients at the first onset of symptoms, Sutter Health said. This first step of the healthcare journey, in which a patient is directed to appropriate care, is often the most critical, and can determine the entire course of a patient’s experience. By accessing an earlier, holistic health assessment, patients can make informed decisions, helping them to save time and avoid unnecessary costs, Sutter Health said. Every patient has unique healthcare needs and preferences, making this personalization ever more critical, the health system added. By using Ada’s technology to direct patients to the most appropriate care, Sutter Health aims to help patients get the right care, in the right place, at the right time. Ada Health is at HIMSS19 in booth 5089. Tech vendor Innovaccer has launched an artificial intelligence-based data activation platform at HIMSS19. The platform integrates with more than 300 electronic health records systems, claims systems, labs systems, financial systems and others with the aim of providing a single source of truth for provider organizations. With added AI applications on top of it, the data activation platform helps care providers with improving outcomes in real time, the vendor contended. The platform comes with pre-built applications for doctors, care managers, healthcare leaders and patients. Innovaccer is at HIMSS19 in booth 2715. 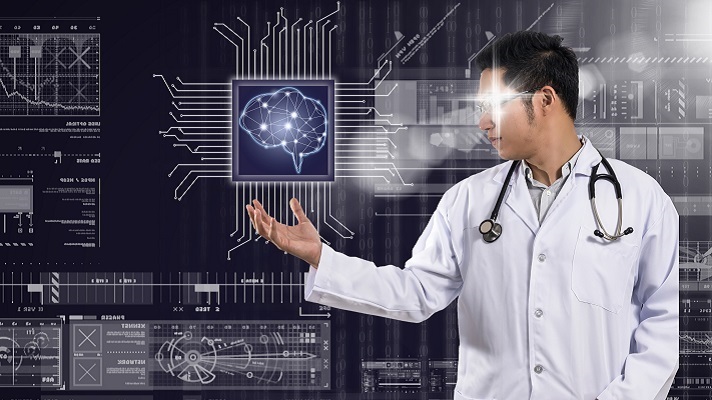 On another AI front, QuartzClinical debuted a new suite of machine learning-powered data warehousing and clinical registry tools. With bank-level encryption and native HIPAA compatibility, these new tools solve the issues present in the prior generation of software tools while automating the data acquisition, storage and retrieval needs faced by today’s healthcare enterprises, the company said. The new tools permit 24/7/365 access to mission-critical data in a secure, cloud-based environment. The data warehouse system uses machine learning and other artificial intelligence to rapidly correct errors in structured and unstructured data, thus minimizing the cost and time associated with data entry, the company contended. This system is fully integrated into the QuartzClinical cloud-based healthcare data analytics platform, thus allowing a hospital to fully leverage a smart business intelligence solution within days, not months, the company said. The new clinical registry tools can be used by any healthcare entity, including hospitals, clinics, pharmaceutical companies and device manufacturers. These tools use a secure, cloud-based architecture to store data in a fully HIPAA-compliant manner. Machine learning and artificial intelligence algorithms power the data entry systems, thus enabling rapid acquisition of key clinical metrics with minimal effort, the company said. These new tools are expected to replace traditional data entry systems that rely upon nurses, data entry staff and technicians, QuartzClinical contended. The result is higher quality data that is timelier and more comprehensive, thereby solving many of the issues faced by large database research studies, the vendor said.